Marine Wharf East is a 999 year leasehold hallmark development by Guillard Homes comprising of 2 blocks of 163 luxurious apartments – Canary Point, the larger, offering 97 luxurious 1, 2 & 3 bedroom apartments, and Harbourside, with 66 similar style apartments. Strategially located in Surreys Quays, in the London Borough of Southwark Borough in south London SE16 which form part of Inner London. It is connected by bridges across the River Thames to the City of London. It is minutes from London’s dynamic centres of global commerce and finance - The City and Canary Wharf. With forecasts of employment set to double to 200,000 as expansion continues, Canary Wharf ’s growth has also been the trigger for massive investment in the neighbouring Royal Docks with a regeneration masterplan now underway to transform the docks into London’s third business district. Marine Wharf East is strategically located to maximise on a corporate catchment that must surely be recognised as exceptional. The City, now symbolised by a breathtaking skyline dominated by The Shard and its major commercial centres is adding further prestige to the City itself, which remains the world’s busiest international gateway, standing alongside New York and Tokyo as symbols of premier financial status. So much world class commerce, so very close to Marine Wharf East. 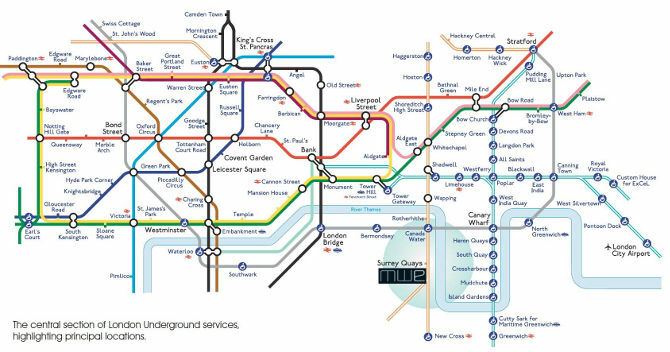 Whatever your destination, Surrey Quays connects to the Capital’s entire transport network in minutes. 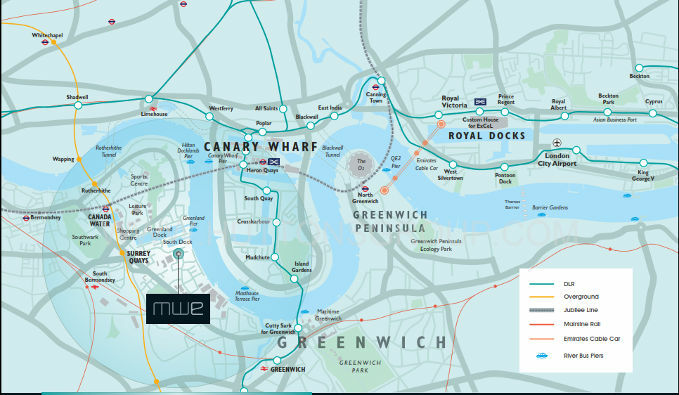 Following a 1 minute overground hop from Surrey Quays to Canada Water, residents at Marine Wharf East will have direct Jubilee Line connections travelling east to Canary Wharf and the O2 Arena, or west across the South Bank, Westminster and The West End with a typical journey time of just 14 minutes to Bond Street. 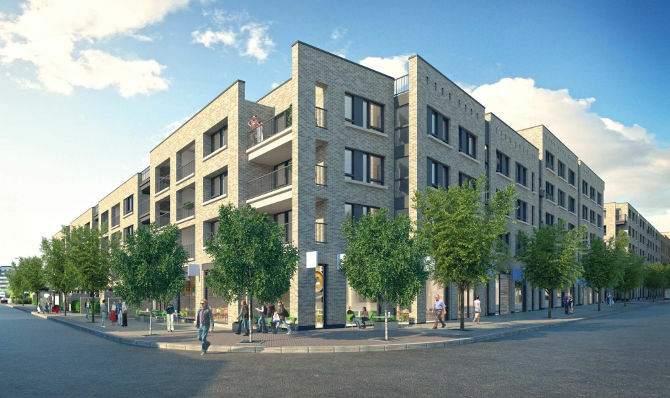 Residents at Marine Wharf East will be a stone’s throw from transport, shopping, water sports, traditional inns and a constant reminders of the nautical legacy of Surrey Quays. SURREY QUAYS A CULTURAL OASIS - Refined in style Today..
Surrey Quays provides an outstanding example of Docklands regeneration and massive inward investment. From former derelict docks to a colourful fusion of contemporary architecture, parkland and bustling activity centred around its two principal expanses of open water - Greenland Dock and South Dock, now a cosmopolitan marina and the largest in London. A short walk from the Marine Wharf East apartment lies Surrey Quays Shopping Centre with over 40 stores and a food court, and directly opposite, Southwark Park – 63 acres of wooded parkland, wildlife gardens, boating lake, art gallery and numerous sports facilities. Canary Wharf needs little introduction as a world class showcase of commerce, a centre stage for culture and simply a dynamic environment to enjoy the finest of contemporary living. With over 240 shops, bars, restaurants and galleries, a world of exclusive brand names amid 4 indoor malls and activities for every age and pursuit, the Canary lifestyle offers total exuberance - 7 minutes from Marine Wharf East. 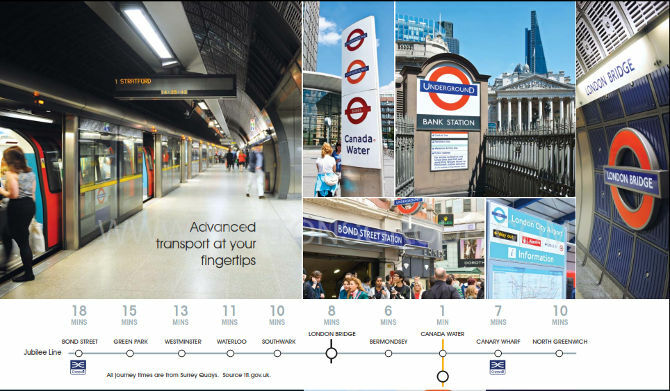 With Crossrail operational from 2018, Canary Wharf will have the most advanced transport infrastructure in the Capital, bringing the Royal Docks to within4 minutes journey time, and Tottenham Court Road in the heart of the West End to within 11 minutes. Marine Wharf East comprises two principal apartment buildings Canary Point, the larger, offering 97 luxurious 1, 2 & 3 bedroom apartments, and Harbourside, with 66 similar style apartments. 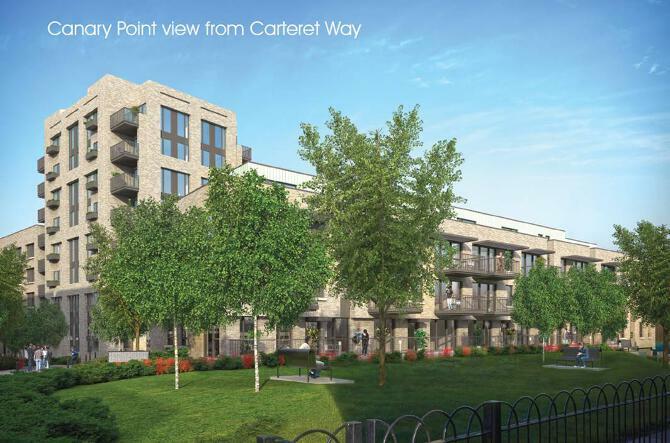 The development will have a central communal Home Zone, providing access from Plough Way linking through to Carteret Way with both blocks designed around landscaped courtyards. The apartments are arranged from lower ground to seventh floor in Canary Point and ground to fourth level in Harbourside. The development will also provide secure lower ground car parking within each block. .
Marine Wharf East has been designed to maximise on natural light with virtually all apartments having a private terrace or balcony, with selected apartments in Canary Point enjoying extensive terrace space. The overall site will also incorporate approximately 1,800 square metres of landscaped public open space creating an undulating green expanse on its southern boundary. • Choice of exclusive 1, 2 & 3 bedroom apartment styles. 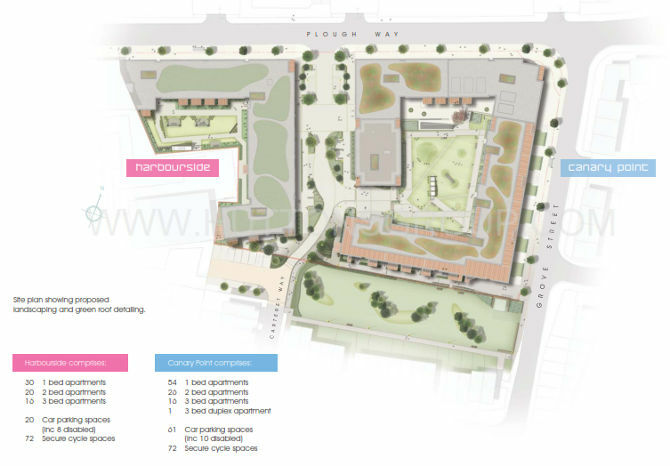 • Two communal landscaped courtyard gardens. • All apartments with private terrace, balcony or roof terrace. 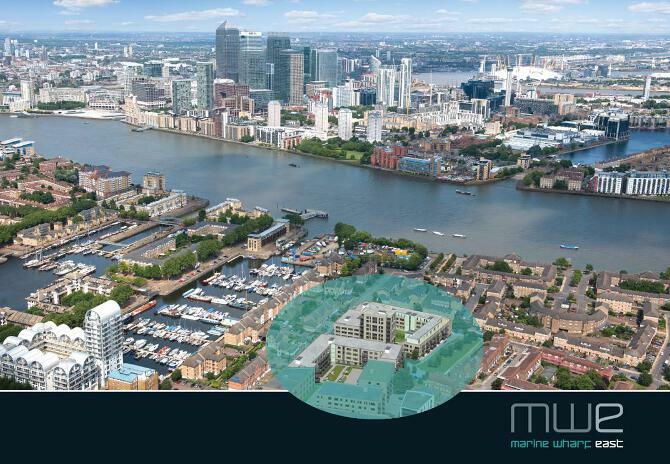 • 1800 sqm of open space, 1 minute away from Thames Path Walk that stretches for 40 miles along the river. 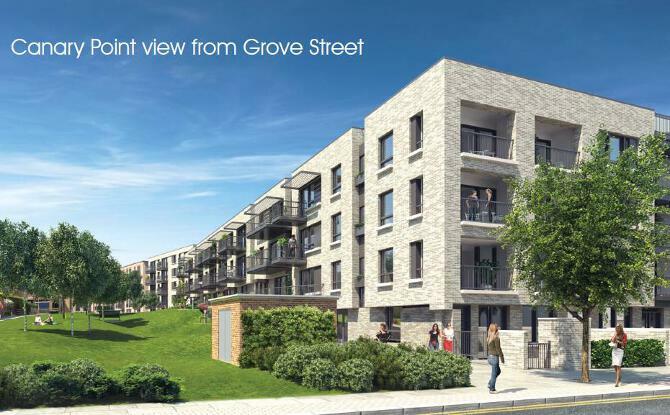 • Secure lower ground parking and cycle storage available in both apartment blocks. • Two passenger lifts serving each apartment core and lower parking levels. • Many apartments with panoramic views towards Canary Wharf, the River Thames and South Dock Marina. • Green roof ecological sustainability to both apartment blocks. • Soft and hard landscaped Home Zone division integrating apartment blocks and communal access. • Car Club bay within Home Zone. 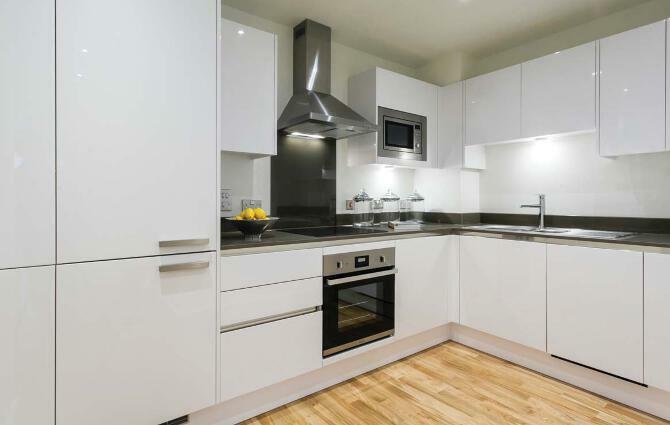 Each apartment finished and equipped to Galliard Homes’ premier specifications, including rustic oak engineered timber flooring. Kitchen equiped with Smeg kitchen appliances. 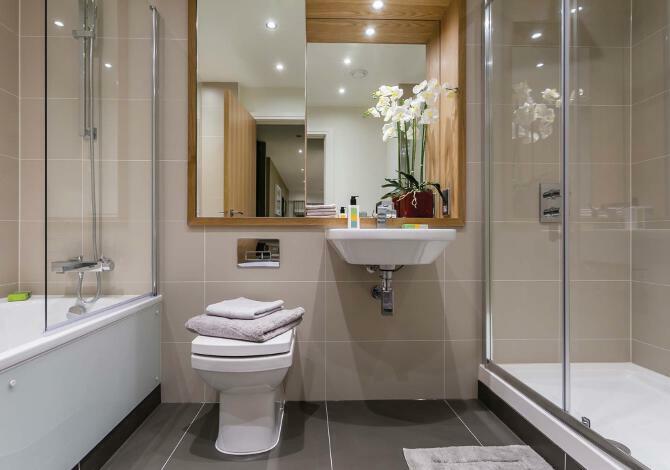 Large format ceramic wall and floor tiling, oak lined mirrored alcoves and feature downlighting complete each luxurious bathroom at Marine Wharf East. Little over 10 minutes walk from Surrey Quays Overground Station. 1 stop (1 minute) from Jubilee Line connections at Canada Water. 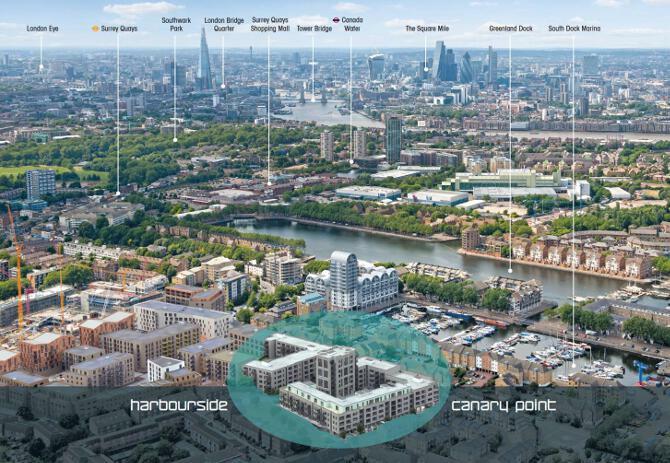 2 minutes walk from South Dock marina - the largest in London. 2 minutes walk from the scenic Thames path, trailing the River Thames for 40 miles. 15 minutes walk from Surrey Quays shopping centre. 5 minutes walk from Greenland Pier and Thames Clipper services. 7 minutes journey time from Surrey Quays to Canary Wharf, the DLR and Crossrail (2018). 8 minutes journey time from Surrey Quays to London Bridge, the fourth largest transport hub in the Capital. Within 2000 metres (1.7 miles) of Maritime Greenwich, its cosmopolitan village centre and The Cutty Sark. Public transport bus stops outside the development on Plough Way and Grove Street. 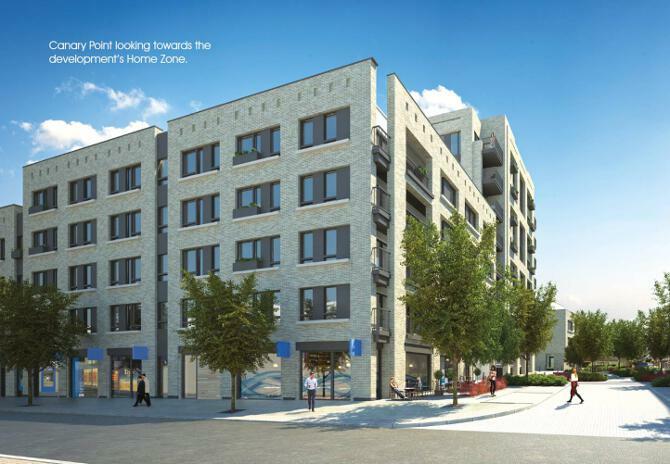 Invest in Marine Wharf East Today! 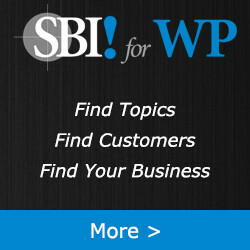 and one of their most innovative to date. Value Buy. Now Selling Under Market Value! DON"T Miss this VALUE BUY! Rare Luxury FREEHOLD development 6 mins to Kovan MRT, architectural masterpiece. Selling Fast 1 & 2 bedroom. Price from $7xxk! Special rebates and Rental Guarantee! 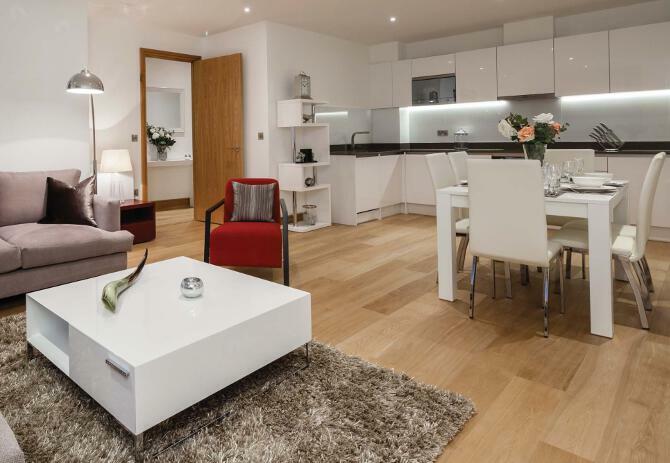 1 bedroom fm S$7xxK in prime London! Good Rental yield and Captial Gain. Now selling 3 bedroom+Utility, S$4xxk Only! CDL's luxurious condo, just 3mins from Buangkok MRT. Star buy 1 bedroom from $6xxk. Book your unit before they are all gone!